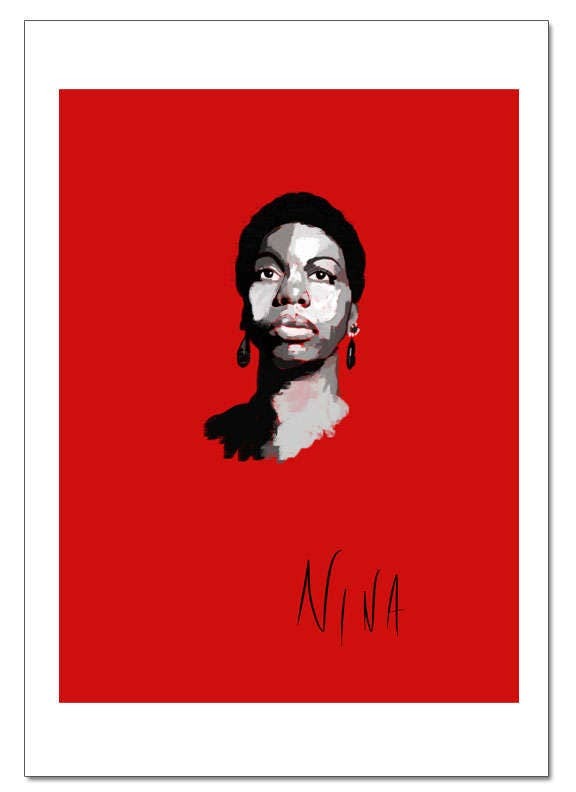 My original digital illustration of Nina Simone. Printed on matte paper of 120lb. Perfect for hanging as-is or easily fits in 11x14 image frame. More musical artists also available in my gallery.